The Insta360 Air, a smartphone add-on that instantly turns Android phones into 360-degree cameras, is now on sale across the United States and Europe. Android and iOS account for more than 90 percent of the world’s smartphone users, and the release of the Air means all of them can now enjoy seamless 360-degree photography and live-streaming. The Insta360 Nano, launched last year, offers a plug-and-play 360 experience to iPhone users. The Insta360 Air offers one-touch 360 live-streaming on YouTube and other popular platforms. The Insta360 Air’s simple, intuitive design makes capturing and sharing 360-degree content easier than ever. After connecting via USB Type-C or Micro-USB port, the Air uses a smartphone’s display as its viewfinder, allowing users to capture 360-degree stills and videos with the Air’s dual fisheye lenses and camera-interface app. 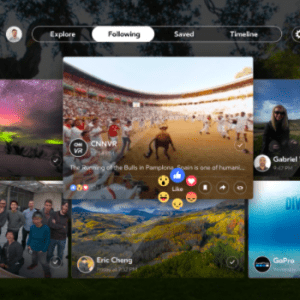 With real-time image stitching and integrated live-streaming support for YouTube and other platforms, users can broadcast immersive experiences to the world or share 360-degree content to friends on a host of popular social media — including Facebook, Twitter, WhatsApp and Messenger — directly from the app interface. Users can explore content on a screen or through a VR headset for an even more immersive experience. 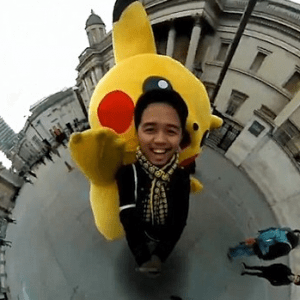 The Insta360 Air experience isn’t limited to mobile. 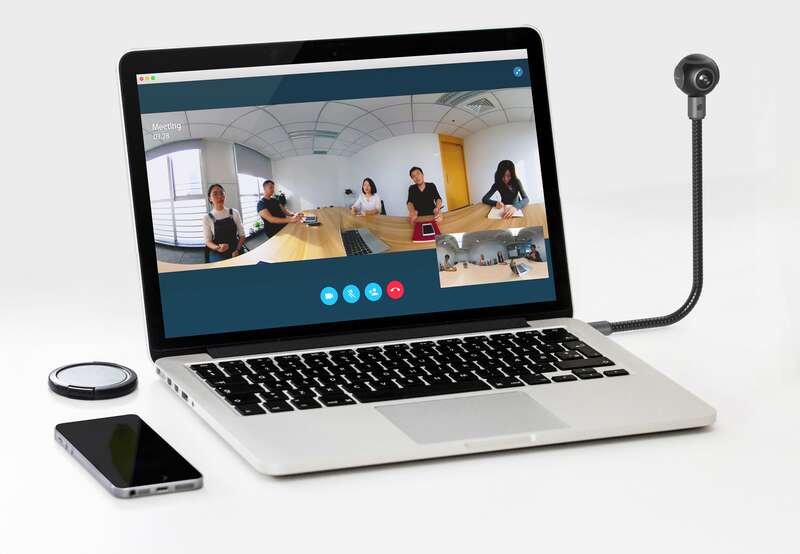 The Air also serves as a 360-degree webcam on Skype and other video-chat applications after connecting to a PC’s USB 2.0 or 3.0 port. 360-degree webcam support for Macs will also be introduced in a future update. Just plug in to the USB port and your Air’s a 360 webcam. 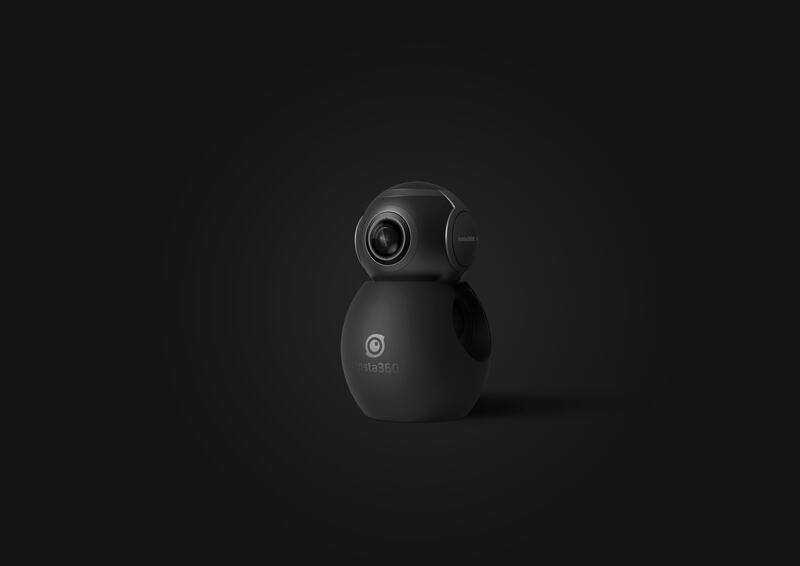 The Insta360 Air captures 3K photos (3008 X 1504 pixels) and 2.5 K video (2560 X 1289 pixels) at 30 frames per second, the Air is also the most portable consumer 360-degree camera on the market. Insta360 is committed to providing ongoing support to both devices and users well after purchase. Air users can expect regular updates to the Insta360 Air app and camera firmware. Among the most-exciting updates on the horizon for the Air is the planned addition of an all-new feature, real-time image stabilization. The advanced image-stabilization technology corrects unwanted vibrations and sudden directional changes as they happen, letting users capture smooth and steady live streams and video. Weighing only 26.5 grams and with a diameter smaller than a ping-pong ball, the Insta360 is the perfect travel companion. The technology will mean a vastly improved experience for viewers using an immersive VR headset. And by reducing the variation between adjacent frames of a live-stream or video, it also offers big bandwidth savings. Real-time image stabilization is set to be released via app update in the coming weeks, and Insta360 Nano users can expect the feature as well. Priced at $129 USD, the Insta360 Air is now available via Amazon in the U.S., U.K., Canada, Spain, Germany, Italy, France and Japan. U.S. consumers can buy the Insta360 Air offline at B&H and Fry’s Electronics, with other regions also offering offline sales at select retailers. Die multifunktionale Gofuture Tragejacke sorgt hierfür, dass das Bambino gut geschützt und kuschelig warm transportiert werden kann. Dabei kann die moderne Tragejacke am Unterleib und am Rückgrat getragen werden und muss spielend lediglich übergeworfen werden. Verbindbar mit jedweder Trageeinlagen sowie Tragetüchern Beachtet werden sollte, dass die Gofuture Tragejacken mit jedweder Babytrage und jedem Tragetuch tragbar sind, aber keinen Ersatz für eine Trage beudeuten. Je nach Gutdünken kann der Nachwuchs mittels Trageeinlage oder in Verknüpfung mit dem Tragetuch am Bauch oder auch am Rücken befördert werden und ist folglich kontinuierlich vor Wind und Wetter gesichert. The Air is what we’re all about — cutting-edge technology that empowers people to capture and share experiences just the way they live them,” said J.K.
Hi There! We are looking for experienced people that are interested in from working their home on a full-time basis. If you want to earn $500 a day, and you don’t mind writing some short opinions up, this might be perfect opportunity for you! Simply check out the link here NOW! Hi There! We are looking for some people that are interested in from working their home on a part-time basis. If you want to earn $200 a day, and you don’t mind developing some short opinions up, this is the perfect opportunity for you! Simply check out the link here NOW! We’re Brandbuilders – A well-known digital marketing business. This blog is full of brilliant information – and great visual elements – which means its a fantastic resource for travel insiders, as well as people planning their next vacation. We can build up your following for your social media pages, in order to lead more readers to your blog. Our team use a targeted, interest-based method that gains REAL audience growth.